The old misconception between print and online: portrays it as a choice between yesterday’s news today, which you have to pay for, or today’s news as it happens. If that were why newspaper circulation has been dropping substantially: it would have happened with the introduction of 24-hour news television and radio. In fact, it would have happened with the introduction of the nightly news. The fact of the matter is that what people most like online is substantially different from the short articles which newspapers generally publish. I sometimes like to comment on other people’s articles. What amazes me is that the most popular comments are generally not short or sweet comments. The popular type of comments: are those which we at SACNS call concise comments. If you have ever read an Oxford dictionary: you will notice that the concise Oxford dictionary is massive. Concise relates to fully encompassing a matter in as efficient a manner as possible. While newspapers have been dying out, their friend the magazine has been flourishing. I’m not talking about lads magazines, or the mass produced picture books that some think are entertaining. These are dying out. What I am talking about is the long form magazine. What I am talking about is concise reporting, the type of reporting you might read in the National Geographic magazine. A look at which Internet blogs are the most popular will once again draw up a surprise. It is generally long form blogs and concise blogs which get the most viewership. These are services which make articles of at least 1000 words if not tens or hundreds of thousands of words their mainstay. If I look at which of my articles are the most popular, factoring out the celebrity influence and niche markets: it is generally the long form or longer form article. It might seem counterintuitive at first: that the most popular comments on any article tend to be long comments, and to take a while to read. The most popular online articles also tend to take a good amount of time to read. The same strange trend goes for emails also. Emails which are short and sweet and use very simple language: are the least likely to be opened. Emails which are lengthy and utilise proper and good English: are surprisingly more likely to be opened. To a degree it does make sense. I am far more likely to share an article online that uses an advanced and interesting word that even I have to look up, than one which uses one step up on SMS language. Which news websites, and news articles are the most popular? Surely websites such as Wired with their very long articles. Surely articles such as those that can be found in: the Daily Mail, Daily Telegraph, the British Guardian. The articles these services produce are lengthy, detailed and often require scrolling down through long reams of text. Newsletters have also once again become popular. The type of newsletter which is popular is not short and sweet. It is the type of newsletter that is worth the effort and the nuisance of having another email in your inbox each day. The newsletters I subscribe to tend to be long form newsletters. They tend to require scrolling and much reading. The type of newsletter I have unsubscribed from and banished from my inbox: is the type which is short and sweet and uses simple language. I take no interest in that sort of email. It is not worth my efforts in opening it. Imagine if newspapers instead of having a headline and five pages on that headline, did what many newspapers are attempting to do with online: had five small headlines on the front page, each with an article of only 100 words. Imagine if that newspaper only had one headline, with a big image: and only 100 words on the headline topic. Would you still buy the newspaper for the headline? After all old wisdom says that newspaper headlines sell the newspaper. I certainly would not buy a newspaper for the headline if the newspaper only had 100 words on the headline topic. 100 words are not enough to be worth the price of 5 Rand or 10 Rand to me. Certainly, there are newspapers such as the Johannesburg Star: which while each article is quite short, have such a broad basis: that in a sense the entire newspaper is one article, possibly worth reading cover to cover. The question arises as to why people still listen to news radio when news television has come out. Why for instance might I listen to a podcast of 60 minutes of radio news out of America, where I can watch television news for 60 minutes instead? News radio flourishes for the same reason that long form articles have continue to exist despite a decline in news media. If I listen to news radio, for instance RFI, I gain a lot more detail and perspective on an issue. For the same reason that someone might read an entire book on an important event, and pay 100 Rand for it, or even 1000 or more Rand for it: people like to listen to radio specifically because it gives you more detail than other mediums. If Twitter were killing newspapers: then the advertisements newspapers put on the streets, with headlines even shorter than twitter tweets: would have killed newspapers long ago. Open your average newspaper, there might be 50 stories in it. Open your average newspaper, there is a wide variety of news. Open your average magazine, are there perhaps 20 articles folded between the covers? Why is it that short form film: that music video television channels are dying out or changing to other formats? Is it because the same music videos can be found on YouTube? Why then do television channels which show series and movies not also die out as quickly? Is it not perhaps because music videos are short and sweet? You might not go to most movies, at the cinema, but you probably watched long movies such as Star Wars, the Lord of the Rings, Harry Potter and so forth. The short and sweet movies could not hold your interest enough to keep you there. People often speak about the meat and bones of something. Information-wise it consists of a thorough telling of what in fact has occurred. Many newspapers have become lazy over the years. Their articles are short and sweet. They have ceased to point out spelling mistakes. They pay their journalists next to nothing and think that an uneducated, illiterate journalist is the equivalent of a master of the English language. They have based their news on a foolish and idiotic audience, aiming at the lowest common denominator rather than taking a stand and in fact investigating what has actually occurred in the world. Some say that news media has taken a different role in the world of blogs and citizen journalism: that of verifying fact and disputing fiction. However, many blogs and citizen journalists have that very integrity that media often lacks. I’m not speaking of the social media idiots many people have come to know. I am speaking instead of human beings with integrity, the same integrity that many successful news organisations used to hold to. Even though I mostly disagree with their viewpoint: I love to read the British Guardian online. They are more likely to tell me the sort of details that really matter. As many newspapers are introducing pay walls, many are doing so to their own destruction. If all I am getting is a summary, I might as well find a summary for free. If all I am paying for is someone who will give me the exact same view as I hold: I am unlikely to pay for that. Certainly, these type of articles might get a lot of shares. They get these shares to prove a point, but if they add nothing new to my worldview than I might as well not pay for them. In the world of Twitter I can gain the view of a celebrity or world government that interests me simply by subscribing to them on social media. If media is to play any role at what our future is to be: it can no longer simply be repeating the words of others. Partisan media and media which is merely a mouthpiece for another, might as well cease to exist, as the source can easily be accessed independently. If I am to buy a newspaper or buy access to an article, it needs to have meat and bones. It needs to provide me with a sustaining meal that I cannot find elsewhere. This is why magazines continue to flourish. This is why short form newspapers continue to die. There used to be a mantra that if a site took more than eight seconds to load it would be seen as unworthy of reading. It was a mantra that people have a short attention span. Unfortunately, the same people who are easily distracted by butterflies and bees, are only distracted for a moment or so, and can easily find distraction elsewhere. They are unlikely to even remember a small distraction, and go on with their lives having forgot that they even clicked on a link or loaded the website in question that took less than eight seconds to load and remained in their memory for even less time. The problem with things that only temporarily take up but a moment of a person’s time, is that often there is no sustenance in these. I will probably not go to a restaurant and sit down only to eat a very small, unappetising meal all alone. If you want your website to get a lot of viewers in the short term, or your newspaper likewise: go ahead, be sensationalist, and take up people’s time for just a moment. They will forget you existed tomorrow, and will not thank you for it! If however you are a media organisation that desires to respect your readers and to give them the full picture that they desire, consider instead gaining a long-term audience by writing longer and more concise articles. This article has already hit almost 2000 words, if you did not stop reading it upon discovering that then you’re not the sort of person who only reads short works. You’re the sort of person who probably still buys magazines every now and again. You are the audience who will still pay to read news, but not simply news summaries. If newspapers want to survive the next hundred years, whether behind pay walls or physically: they need to relearn the art of the concise article and of providing meat and bones to the audience. They also need to relearn the importance of being not a mouthpiece, or a mere bulletin board for the important. People will not pay to simply read one view on a matter when they can gain the full perspective from several sources for free. If newspapers want to survive they need to start adhering again to audi alteram partem: they need to give the full picture in a concise and effective manner, which informs and entertains their readers in a respectful exercise of telling of the truth and of informed and intelligent opinion. This is far more the sort of work which an individual is likely to pay to consume. Think of the most famous books and plays in history. Think of War and Peace. Think of the Lord of the Rings. Think of the Odyssey and Iliad. Think of just how difficult it is to read Shakespeare or Pride and Prejudice! When you’re done thinking of these things, realise that the long form is here to stay. Concise news is a return to history, a history where news was worth paying for! A history, that can sustain newspapers which are dying not because of the Internet but because they are not worth paying for anymore or any longer. Unless their articles once again were to become longer, of course. Has immigration reform in the Republic of South Africa been motivated by hatred of foreigners? Are the new visa requirements being placed upon foreigners intent upon entry into South Africa: a government attempt to accommodate xenophobia, or a reasonable attempt to secure our borders? A few years ago the hunting industry were up in arms, releasing a bugle call through their accomplice, the media, in a desperate attempt to stave off South Africa’s still standing new firearms regulations. The industry claimed that the economy would lose at least a billion from its important GDP (gross domestic product) figures. The regulations went ahead nonetheless. South Africa very seldom bases its policy upon the interests of the various business or society lobbies. With major international movies and television series being shot significantly, or largely, or exclusively in the Republic of South Africa, the entertainment industry, especially in the Western Cape, has seen a major boon. Like Costa Rica or Canada: South Africa had set itself apart as a cheap and easy place to film a major production, especially those set elsewhere. International actors could be quickly flown in and paid in full for the scenes they shot. Unlike Canada, where a good portion of actors have to be local, international companies seem to prefer to avoid the South African distinctive accent. For these filmings to continue we are told: these international companies should be able to continue fully importing their labour force, and merely using South Africa as staging ground. Perhaps then South Africans could have hundreds of thousands of jobs, feeding and serving these foreign actors. After all, international productions still do need lowly paid extras in nonspeaking roles and uncredited stagehands to ensure everything goes smoothly. Just as was the case when the hunting industry made a call to arms: it is highly unlikely that the government will listen to the concerns of the film industry. The government has their own researchers and their own economists. It is rare for the government to rely on outsiders to make their decisions. Granted, South Africa is a participatory democracy. The government certainly must take account of the views of industry and civil society, but it is generally the case that the government goes with its own research. It is unlikely that any amount of campaigning will cause the government to about turn, even if hundreds of thousands of lowly paid jobs are lost. America and Britain, similarly, have very strict visa restrictions. South Africa, previously known for the weakness or liberal status of its immigration laws has been ideal for international film corporations, who like to ship actors in at the last minute in accordance with a tight and dynamic schedule. South Africa faces very few external threats that its intelligence organisations have not been able to snuff out quietly and effectively. What it also faces is status as a nation sometimes called the America of Africa. Immigrants from across the theatres of war which have overcome large parts of the continent, in hope to find sanctuary and safe harbour in a nation once only known as a harbour for ships: have been swift to latch onto low-paying jobs. They have always been quick as well to apply for government benefits that many South Africans did not know existed. Among the results has perhaps been the deep xenophobia that a plurality of South Africans have been diagnosed with. Most black South Africans according to recent surveys: have a deeply negative view of non-South-African Africans. This is especially so among those who struggle to eke out an un-lavish existence in rural areas and shantytowns. These people directly compete with refugees, and migrants seeking the betterment of their lives, from a place South Africans call ‘Africa’ or ‘Up North’. Most of the temporary immigrants who come to South Africa to film are not from Africa but from Europe and America. Some critics have pointed out that simply applying stricter visa regulations to immigrants from Africa: would prevent the movie industry experiencing massive losses. There is very little xenophobia among South Africans for people from anywhere but Africa. The same regulations in their laxity which have allowed the film industry to blossom: have also been a godsend for destitute refugees fleeing to South Africa. As I have stated many times: GDP is a false indicator. Lumping all parts of a population together, and counting the wins of a small part as though they were the wins of all the population: is an artificial measure. Likewise: jobs which are lost are sometimes somehow replaced with better jobs. It is easier for us who do not compete with foreigners for low-paying entry-level jobs: to condemn the xenophobia of those who do, and it is those who are best off in the economy who have the least proportional demographic of xenophobic individuals. We might well compete with foreigners on an international level. However, competition relates to something where one person bests another. That is to say that the person who is better at a thing or can do it cheaper succeeds over another who is less of an asset to those who consume the services of these individuals, while the less efficient, less cost saving or less effective competitor fails. The South African government did not step in to save the textile industry, when it allowed cheap imports from China and similar massive job losses were incurred. The government did not step in to save the hunting industry and the sports weaponry industry when it introduced new gun regulations. South Africa is struck by a unique dilemma: to compete with other destinations for the filming of international media productions: these productions must hire foreign staff who are brought in through easy visas. Competition will always exist for South Africa. South Africans cannot do the jobs of these foreigners to the satisfaction of the foreign film companies. These visa restrictions make it harder for these productions to hire foreigners. As a result of which the industry believes it will fail. The industry does not believe that South Africans could do the same job as these foreigners do. It is therefore begging the government to allow foreigners to take jobs in South Africa: because it does not believe that if South Africans had to be relied upon as the labour pool for these organisations: that the industry could compete with other international destinations. The industry has a very free-market approach as opposed to the protectionism that a visa affords. Ultimately a visa is almost always a protectionist measure. A government does not desire its own citizens to have to compete with the best in the world. As a result such a country becomes less competitive on the global scale and less attractive to business. It is highly likely that the government is seeking to combat things such as human trafficking, drug smuggling, and many other criminal enterprises. It is equally likely that the government desires at least some of the roles of productions filmed in South Africa to be removed from foreigners who are brought in and that the desire of those in power is for these jobs to be placed in South African laps. The argument of industry is ultimately this: international productions would not want to film in South Africa if they were forced to use South African actors. The visa regulations are likely largely in response to the massive rise in xenophobic attacks across South Africa. When lives are at stake in the mind of the government, a couple of job losses usually take a secondary position of importance. Whether the easy influx of foreigners and deeply liberal immigration laws of South Africa are the reason for the xenophobic attacks, or whether an alleged culture of violence and a deficit in the devotion of resources to security forces and to those engaged in policing are to blame: the new visa requirements no doubt will be welcomed most gleefully among the poorer parts of South Africa who have seen jobs they once made a living out of being taken by desperate foreigners who would do their job for far less. Discovering Truth without losing trust. A guide to conducting a sensitive interview. At present I am not a practising attorney, nor am I a practising advocate. In accordance with South African definitions of what the lawyer is: I am a lawyer. A lawyer is everything from a paralegal to a judge, it refers to anyone who engages in providing legal services within the law. My time at the Witwatersrand University Law Clinic was as a student counsellor under the supervision of an admitted attorney. 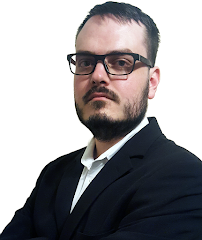 This entailed interviewing clients, writing documents and pleadings, and relaying advice to clients and so forth but while under the watchful eye of an admitted attorney. My experience of interviewing clients at present is mainly gained from journalism and from my time at the University of the Witwatersrand Law Clinic over a period of about a year and additionally of three weeks as part of compulsory practical coursework subsequent to my graduation, as a compulsory part of the Leadership and Development programme of the Law Society which replaces a year of articles with six months of coursework and exams. I took this position at the University of the Witwatersrand Law Clinic essentially twice: one day per week for about a year as part of a compulsory subject in my final year at Wits and subsequent to this I took the same position at the Witwatersrand University Law Clinic for a much shorter second time as part of a course requirement when I was completing the statutory postgraduate six-month practical legal training course at the Law Society. I hope to write the board exams in a month or two. Nothing I've stated is legal advice, nor is it advice on the ethics of the profession. It is simply the way in which I believe an interview should best be completed. Nothing I have said is to compare myself to other lawyers or individuals practising any type of legal service. I do not state that I'm better or worse than any other legal practitioner, I am merely relaying methods which I believe might well be effective in the correct circumstances. I do not guarantee that these methods are effective or the best course of action. I do not accept liability for harm incurred in following the above methods. This article should not be considered to encompass all aspects of an interview and is merely meant to add to your own extensive interviewing knowledge. External verification methods are still an important aspect of verification of witness statements. At least ten tigers killed, dismembered, for entertainment at private parties for Chinese rich, officials. Nouvel Observateur reports the sad news. The news of yet another massacre. A video has emerged, of a prisoner in a cramped cage, undergoing electroshock, and then being butchered. This tiger in the clandestine photography, is far from unique. It is as though the world has jumped back to the age when the Roman emperor lit Christians on fire to light up his parties for the rich and famous. Chinese officials and the rich attend private events, to watch tigers massacred, mutilated, and then to buy the bodily remains such as bones, making sure the tiger was alive before they saw the medicine beast killed for their pleasure. It is part entertainment, part a way to show off status and monetary position. The tigers are abused and killed, and the rich whether for superstition or for a show of grandeur, attend, and then are sure to buy the animal fetishes as medicine, though China Daily says in simplified Han Chinese, that the inspection itself is akin to a procedural formality for smugglers, the fetishes were already assigned to buyers well in advance. The butchery parties are set up at plantations, in the woods or even in houses, China Daily reports in Chinese. The combination of entertainment and superstition, particularly were hard hitting for French journalists. The slaughter of the animals alone was hardly the end of it. 'At least a dozen tigers were killed in a southern city of China, at private parties bringing together local officials and wealthy businessmen, the Chinese press reported, at the end of March. 'According to the newspaper, the beasts were killed in front of a public official and community leaders, proud to display their wealth. '"The tigers were probably anesthetized during transport. But buyers ensured they were alive before their being put to death," said an anonymous source quoted by the newspaper. 'One of the suspects jumped from a building to his death while trying to flee. The police retrieved a number of weapons used to capture the tigers, tiger goods to be sold on the black market, and the tiger’s carcass, Yangcheng Daily reports on Tuesday. 'According to Zhanjiang Police, the 15 suspects are mainly from Baisha County, Leizhou; while the 16th suspect, who jumped to his death was from Shentang County. In total, 10 tigers were killed. See also: SACNS version of this same article: At least ten tigers killed, dismembered, for entertainment at private parties for Chinese rich, officials. Oscar Pistorius shot at a door either knowing or having the duty to know that someone might be hit and killed by his bullets. Whether it is a robber or Reeva behind the door is irrelevant: the Error in Objecto rule, where someone intends to murder A, but accidentally murders B, still results in a murder conviction. Furthermore, aberratio ictus or missing blow theory cannot negate guilt if the wrong target is hit with intention to murder another target: but this sister of Error in Objecto, would not apply here, as it is not a case of the wrong target being hit due to bad aim. Likewise, private defence, what Americans call 'self defense', in South African law rests not on perceptions of danger but on objectively viewed imminent danger to the person's self. Whatever Oscar thought: Reeva was no threat to him, it thus cannot be said to be private defence. Such is the view of long established and long enforced case law. The law can change, but that is what the law is as it stands. Before we get onto the other factors, we must remember that in South African law: if you can foresee that it is a real possibility that something (an unlawful death) will result from an action, and nonetheless/recklessly proceed with behaviour risking that possibility (dolus eventualis), it is murder not culpable homicide. If the facts show you did not foresee that possibility but a reasonable person would have, then your actions are culpable homicide. A further aspect lies in that those heart strung jury arguments in the west do not stop a murder charge: they emerge in mitigation, even complete mitigation of all jail. It is not in dispute that Oscar shot and killed Reeva Steenkamp. It is not disputed that she was no objective threat to Oscar Pistorius. The only way he could be completely acquitted is based on temporary insanity in the form of 'provocation'. So what are Oscar's team aiming at? Either culpable homicide (what Americans call manslaughter), and maybe a year or three in jail if he is lucky. Or Putative Private Defence (my bet would be on this). Or provocation (from the French word for cause). - The law requires a warning shot prior shooting. - A reasonable person would not have shot through a door without checking if it was Reeva. - Shorter sentence, not murder but a competent verdict of murder. - An established part of our law: applicable when a person believes they are acting in private defence but are not. - This goes both for proportion of response and for factors which appeared true to the accused, but were objectively false. - The accused is convicted of murder, but gets mitigated sentencing and possibly even no jail time. - One must give medical evidence that whatever caused the actions was based on uncontrollable sane automation. This is to be done via medical evidence: since the Eadie case we use medical evidence to prove temporary insanity. A neuropsychologist might be the appropriate expert witness.
' I agree with Ronald Louw that there is no distinction between sane automatism and non-pathological incapacity due to emotional stress and provocation. Decisions of this Court make that clear. I am, however, not persuaded that the second leg of the test expounded in Laubscher’s case should fall away. It appears logical that when it has been shown that an accused has the ability to appreciate the difference between right and wrong, in order to escape liability, he would have to successfully raise involuntariness as a defence. However, the result is the same if an accused's verified defence is that his psyche had disintegrated to such an extent that he was unable to exercise control over his movements and that he acted as an automaton - his acts would then have been unconscious and involuntary. In the present contest, the two are flip sides of the same coin. The judgments of this Court referred to earlier, as the highlighted parts of relevant dicta show, see it as such.
' Whilst it may be difficult to visualise a situation where one retains the ability to distinguish between right and wrong yet lose the ability to control one’s actions it appears notionally possible.
' The view espoused by Snyman and others, and reflected in some of the decisions of our courts, that the defence of non-pathological criminal incapacity is distinct from a defence of automatism, followed by an explanation that the former defence is based on a loss of control, due to an inability to restrain oneself, or an inability to resist temptation, or an inability to resist one’s emotions, does violence to the fundamentals of any self-respecting system of law. This approach suggests that someone who gives in to temptation may be excused from criminal liability, because he may have been so overcome by the temptation that he lost self-control - a variation on the theme: “the devil made me do it”. It is for this reason that it was suggested earlier that the use by Joubert JA in Laubscher's case, supra, of the word "weerstandskrag" was unfortunate. So too was the use of the word "drang" in Campher's case at 956 B, referred to in paragraph  of this judgment. These words suggest a resistance to urges or temptation. No self-respecting system of law can excuse persons from criminal liability on the basis that they succumbed to temptation. Against the fundamental principles restated by JM Burchell (quoted in paragraph  of this judgment) it is with respect, absurd to postulate that succumbing to temptation may excuse one from criminal liability. One has free choice to succumb to or resist temptation. If one succumbs one must face the responsibility for the consequences. So, if Oscar's team can prove temporary insanity due to extreme fear: then he is in that scenario, acquitted and off the hook: for the murder itself: the problem is proving medical sane automation/ temporary insantiy. However that is not his likely intent. His likely intent is mitigation. Or change of law. This article does not constitute legal advice. For legal advice, approach a competent legal practitioner with knowledge of your facts. Fast credit: Shocking? Or everyday business? The newly arrived e-tolling system, which has been imposed upon the Gauteng freeways has been challenged on many grounds. Some say that it violates the right to free movement. Others questioned to what extent the government is permitted to privatise public resources. There certainly is the public international law ideal that the state holds resources in trust for the population: that it is say as a trustee rather than an owner. As a trustee the state therefore must act in the best interests of the population and not in the best interests only of a small minority of special interests. This concept is why tender fraud is such a big issue. None of these arguments are one which I am going to be making today. The argument I am here today to make also is not based on reckless credit in accordance with the statutes of South Africa. However, the purpose for the statutes illuminates a constitutional right, and what is more a human right. There is a long history of persons becoming indebted beyond their means to escape their debts. This was in fact one of the means by which slaves were gained by large landholders in certain areas of the world. A person was made to become so legally indebted to another that they are forced to work for the remainder of their life always in debt to the other individual and always forced to work for that individual. In contract law classes, South African law students study a case where a doctor agreed that a vast majority of his salary would go to paying off a debt. The court found that the contract was against public policy and therefore unenforceable as it turned the doctor into essentially what the court called a slave. The e-tolling system has according to SANRAL: been seemingly exempted from the National Credit Act provisions which prevent the issuing of reckless credit. In order to issue credit, a credit provider must ensure that the person to whom they issue credit, is capable of paying back the credit in their circumstances. The National Credit Act also allows for debt counselling for debtors who cannot possibly afford to pay back their debt. SANRAL seems insistent that this does not apply to e-tolling. E-tolling is essentially a system of credit. Whenever an individual rides on an e-tolled road, that individual is essentially taking out a loan from SANRAL. It is like swiping a credit card. However, if a person is unable to pay off their credit card the credit card is cancelled. A person who takes out credit from SANRAL can essentially take out unlimited credit whether or not they are able to pay off their debt. A person who earns 1000 Rands a month: could accrue a debt of 10 million Rand. This person would not be afforded debt counselling according to SANRAL. This person would simply have to pay off their debt. It is expensive to file for insolvency, and some return needs to be shown for creditors. Stating that insolvency is a way out of such a debt, also is not stating an absolute solution in such a case. Could such an applicant for insolvency show even one cent to the Rand return for creditors? Would it even be possible for them to file for insolvency? Furthermore, causing a person to become insolvent deeply changes their status, their ability to do business, and their means and resources on which to live. An aspect of Marikana and the tragic shooting which took place there which is not often brought up is that of micro-lending. Many of the miners who went on strike had taken out small loans. Their salaries were garnished, in order to allow the creditors to reclaim their money. The miners thus could not afford to live and support their families. The unrest was almost inevitable as a result of credit having been granted when it ought not to have been. The absolute desperation of the miners who charged the police at Marikana: should surely hint at the predicament of the indebted miners. Their determination to strike in desperation to bring something home to live on and to support their families: surely shows the effects upon the economy of such strange granting of credit where it ought not to have been granted. Many South Africans are illiterate. Many South Africans do not have basic mathematical education or literacy. Many South Africans are deeply poor. Many South Africans barely get by. These sort of things need to be taken into account by ordinary businesses doing business. Extending a person an unlimited line of credit and expecting them to pay it back without any chance of doing so: no doubt strikes one as immoral. Immorality is not enough. It has to be legally reprehensible. Thus one has to ask in accordance with the Bill of Rights: is the extension of unlimited credit with no cut-off points and no contingencies unconstitutional. I would say that it could well violate the right not to be enslaved. I would say that it could well violate the right to life in as much as it affects a person’s ability to earn a livelihood. I would say that such unfettered granting of unlimited credit could well violate the right to dignity of the human person. Perhaps I am wrong. However I do believe there is a strong argument that the granting of unlimited and unfettered credit to persons regardless of their creditworthiness or their circumstances and ability to pay back that credit: violates the rights of the debtors. Nothing in this article constitutes legal advice. This argument is provided for entertainment purposes purely, and in order to strike up debate. For proper legal advice please contact the legal practitioner with understanding of your specific circumstances for proper legal advice. 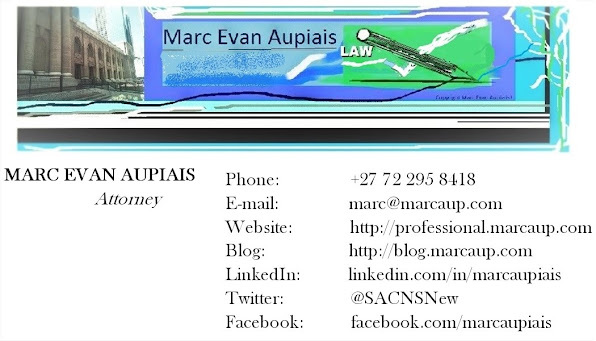 Article written by Marc Evan Aupiais, a LLB Law Graudate, for the SACNS News Service and Aupiais Wire.